How To Stay Married (So Far) #6 : Is Your Partner Affectionate Enough? WEEKEND VLOG 4 - Nadia & Mark ARE Locked In Their BEDROOM whilst 60 TEENS Party Downstairs! AMERICAN BUBBLEGUM HAUL - A Nadia Sawalha & Family "MOMENT"! VLOGMAS (2018) #23 Home Alone makes Nadia want a SON & She makes the FRONT of a XMAS MAGAZINE! HOME TIME #10 FAKE TANS, Teaching KIDS To Sleep & Mark's DINNER is Nearly Fed to the DOGS! 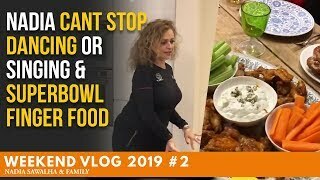 VLOGUARY 27 Nadia Does YOGA &The FAMILY Come ROUND for a ROAST! 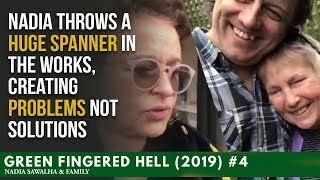 GFH (2019) #2 - Clearing STEPTOE'S Yard & Moving The Green House! 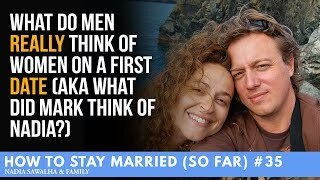 HTSM (So Far)#35 What DO Men REALLY Think Of Women On a First DATE aka What did Mark think of Nadia? 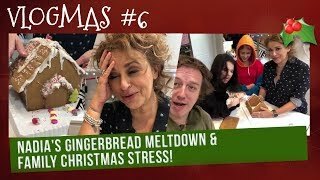 VLOGMAS (2018) #6 - Nadia's GINGERBREAD MELTDOWN & FAMILY CHRISTMAS STRESS!